Funny shot! surprising, colorful, full of movement, nice angle. a blue sky ! should be cold but sunny... have a nice Sunday , ciao and thanks for your visit ! 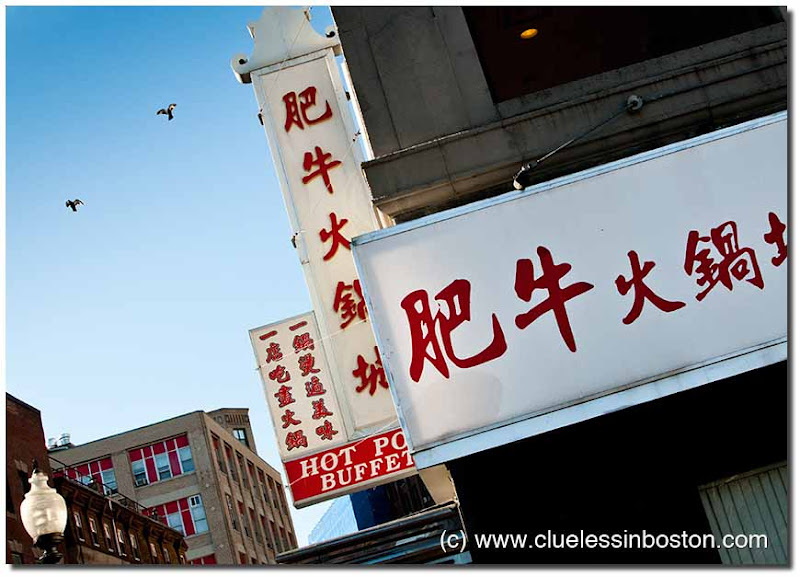 Pretty blue sky with the passing birds; creative slanted angle of the Chinese sign.